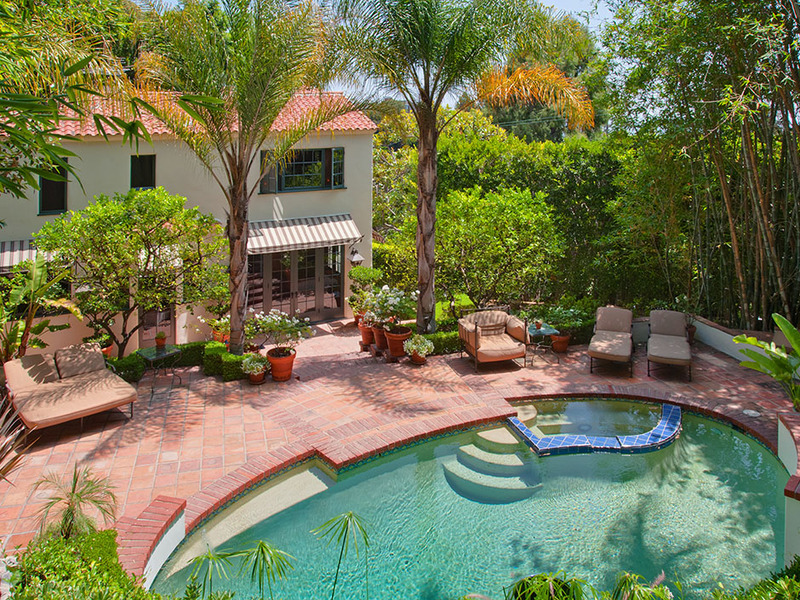 Steeped in Iconic History, 1712 N. Crescent Heights is a superb example of Old Hollywood captured in an exquisite 1929 Spanish home. Set on an exceptionally private, terraced & landscaped lot this home features character and warmth throughout. A gated walk-way leads to the front entrance – a turret foyer opening to the living room & dining room with French Doors leading to patio & garden. Among numerous details: Malibu tiles, original period sconces; library/TV room. Cook’s kitchen opens to the gardens and pool. Upstairs features the Master suite with Fireplace & City views, guest suite with sitting area; and an additional bedroom suite overlooking the gardens. This one is very special and not to be missed. Exquisitely reconstructed & redesigned villa. With no expense spared and of the most impeccable quality of design, this property is one of a kind. Details include; walnut floors, cherry wood & oak cabinetry, fully laundry room. This one is brilliant.